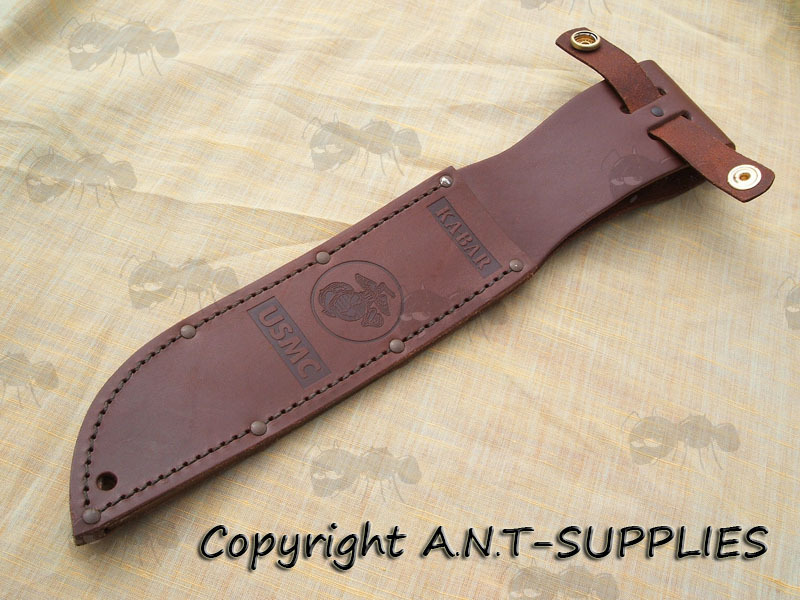 Kabar USMC heavy-duty replacement leather sheath. Oiled, top quality, brown leather with brass fastener. 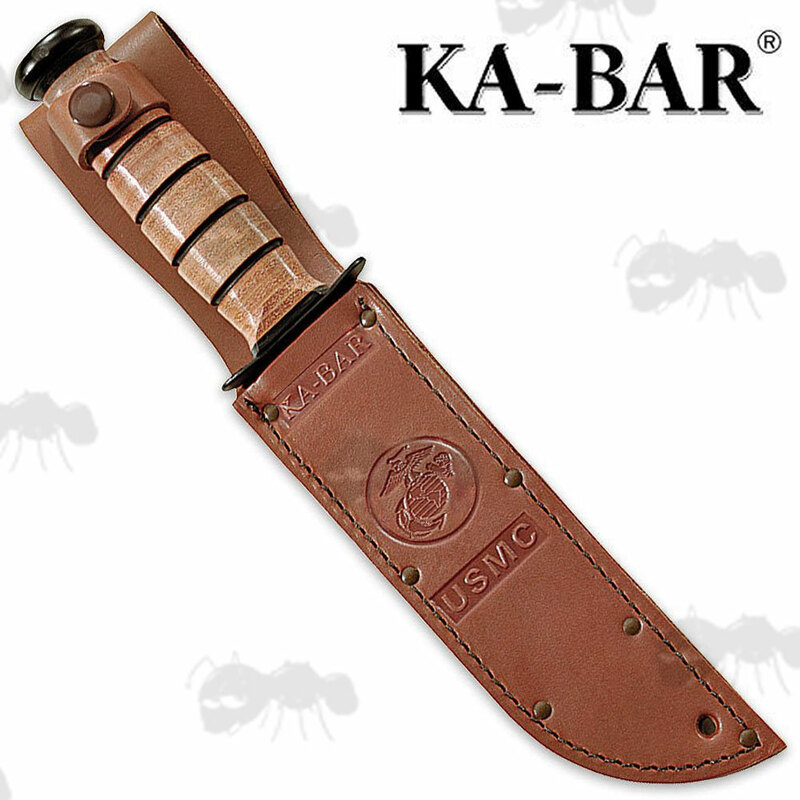 Will take any KA-BAR knife with double guard and blades of 7 inches long or less. Blades length 'less than' 7 1/4", width 'less than' 1 1/4", thickness 'less than' 1/8".